Avery is almost two. I can't believe how fast time flies. We have started a family tradition of buying one ornament each year to that reminds us of her. Last year we bought a baby's first Christmas 2010 ornament. This year I decided to do something special and paint her face on an ornament. It was actually fairly simple, I used her "Wii Mii" character to go by. Inspiration really comes to me from everywhere. Below are a few simple steps if you want to do this for someone you know, or even for yourself. First find a round plastic or glass round ball ornament. The smaller ones actually are easier to work with. 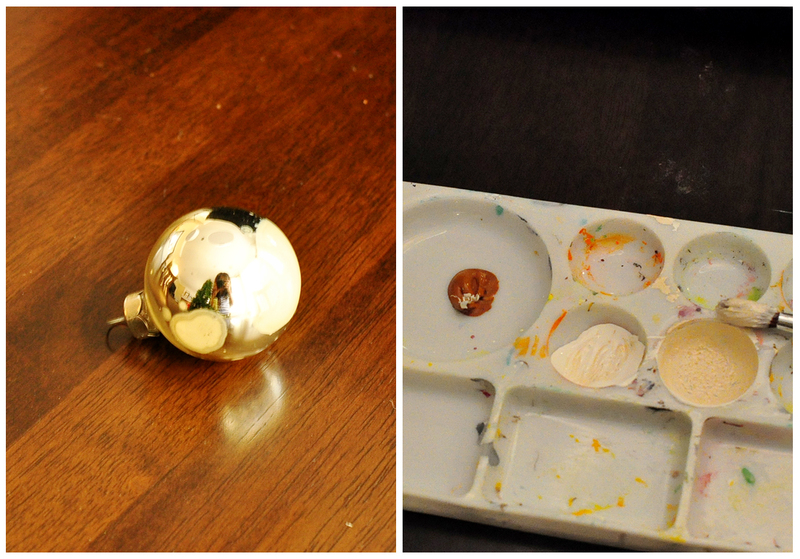 The ornament I used was an old chrome ornament (that has seen better days) about two inches in diameter. Prime the ornament with paint primer. I used left over Kilz latex primer from when we painted our house. After primer is dry, mix white and brown acrylic craft paint together to get the right skin tone. Paint the front half of the ornament with the skin tone paint. Draw on hair and facial features (eyes, nose, mouth, eyebrows, ears for boys with short hair) with a pencil. Again, look up some Wii Mii characters for inspirations on how to shape these things. Just a couple of tips on where eyes are positioned on a face. I learned in high school art class that eyes are half way on the face, and ears are at eye level. The nose is half way from the chin to the eyes and the mouth is half way from the nose to the chin. There are lots of tutorials online on how to draw faces. Paint hair all the way around and let dry. Then, using a black fine tipped Sharpie, I drew in the eyes, nose and mouth. 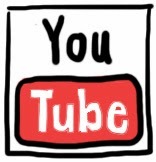 If you want blue/green/brown eyes use the appropriate color Sharpie. You could also do this with a fine tipped paint brush and craft paint, but I think a Sharpie is so much easier to control. You can dot the eyes with a little white paint for some contrast. If you want to put a little pink on the cheeks you can water down some acrylic pink and brush on very lightly. 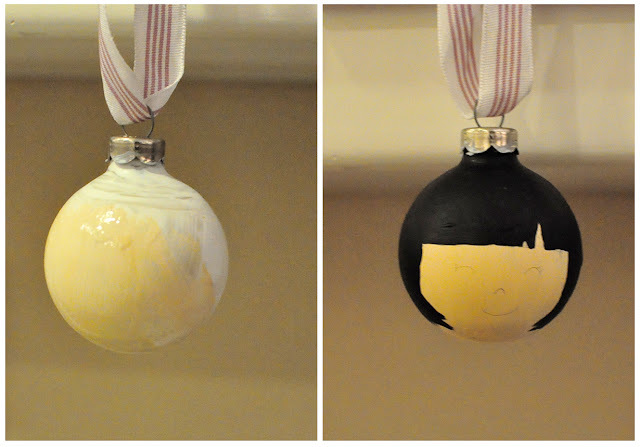 Prime ornament and paint half with skin tone color (I used acrylic craft paint). After primed and face painted, paint hair and draw in facial features with a pencil. I was actually able to erase the pencil marks if I made a mistake. I made one for my nephew also. Going to tie it onto his present along with his salt dough gift tag. 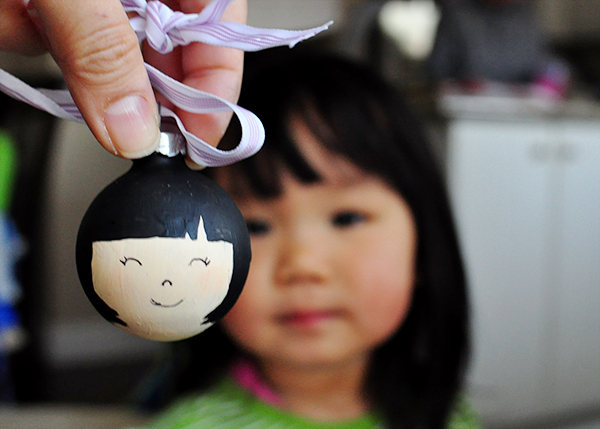 I did create two ornaments of my daughter because one broke. That is why in one of the pictures you see her eyes open and the other they are squinting. So be careful if you use glass ornaments, I have already broken five this week doing various projects. Those are adorable!!! You are just so creative. Thanks for sharing. This is adorable! 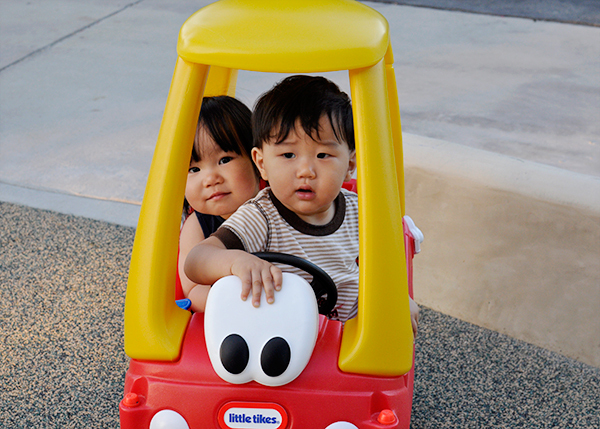 Your kids are soooo cute. The Vanilla bake shop I went to was in Century City Mall. I think they are a chain. 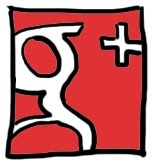 hi there stumbled upon your blog and oh my word are you talented! I think I just pinned almost all your posts. I just went back and read back to the post where you decided to start blogging again. Im glad you did your blog is amazing. keep it up. Ill be reading avidly...is that a word? I love this idea! It's so very cute! I love this, it is so sweet and because you made it to look like her very personal. I think it's something lovely and she and your nephew will come to cherish them. I found you on someday crafts blog! 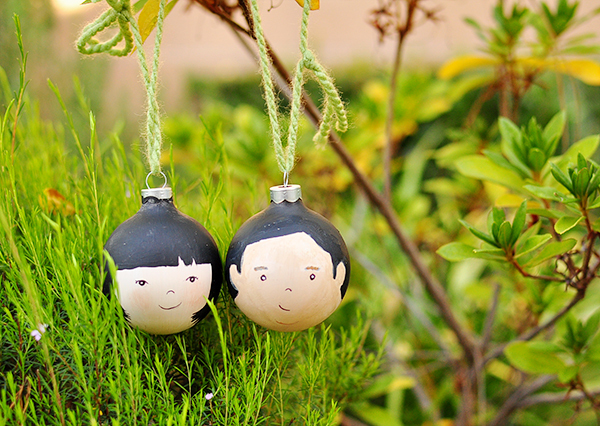 Super cute ornaments, and your kids are adorable! Absolutely darling! Love this! Pinned it! Came from Hi Sugarplum (I think). That first picture is adorable! 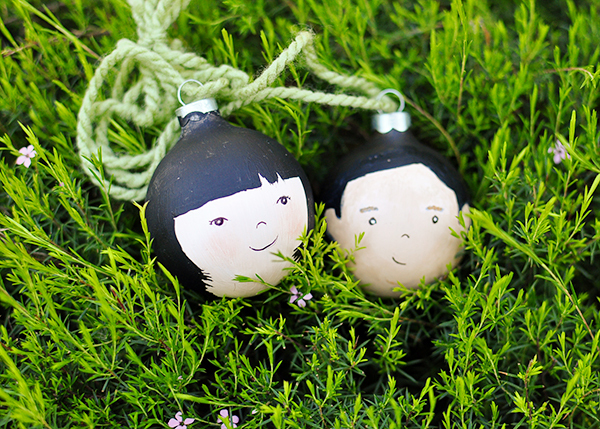 Very original and great looking ornaments! We have to come daily to watch latest updates. best Wishes. برای دانلود آهنگ جدید با کیفیت عالی و لینک مستقیم همراه با پخش آنلاین به سایت دانلود آهنگ ملودی 98 مراجعه کنید.